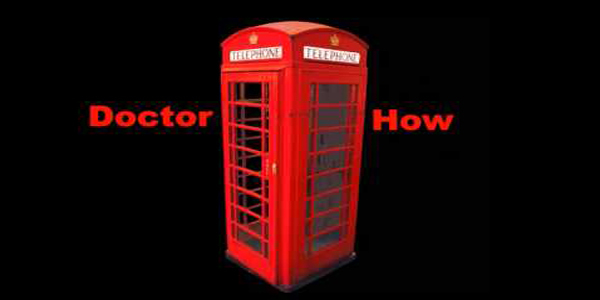 Doctor HOW is an Gaelfreyan alien, a Time Keeper with a SPECTREL that looks like a red police call box. He is headquartered in his mansion-esque estate in South London and tasked with the duty of keeping track of resident aliens on planet Earth ensuring they follow all the galactic rules of immigration and not call attention to themselves unless they rip the fabric of self-induced denial that dulls the mind of the human inhabitants of the planet as it relates to life outside the existence of human comprehension. 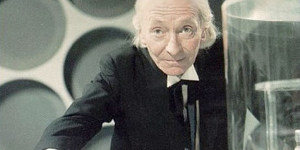 Doctor HOW has a brother by the name of Doctor WHO. 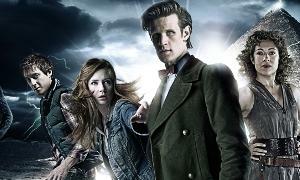 HOW has been on Earth for centuries whereas WHO arrived on Earth in 1963 CE and committed one of the greatest crimes known among Time Keepers, revealed his story to a national television syndicate known as the BBC — thus was born the bane of HOW’s existence, the legendary, albeit fictional Time Lord, Doctor Who. Doctor HOW, his brother Doctor WHO and four others, Doctors WHAT, WHY, WHEN and WHERE are the original Men in Black, however, after WHO’s infraction WHAT, WHY, WHEN and WHERE left in disgust and frustration leaving HOW abandoned with the sacred Time Keeper duty for this region of space all to himself; a task that has become more difficult with the passing of the decades requiring him to take on Earthly companions as the challenge requires. The latest adventure of Doctor HOW is called “Doctor HOW and the Illegal Aliens,” the first of a five-volume set of sci-fi stories of this Time Keeper’s adventures. Doctor HOW, is thrown into a troublesome mystery that requires him to take on a local young thug named Kevin as his companion as they explore an alien presence that can shape-shift and time-morph as it appears to attack and feed off of diesel fueled vehicles and machinery. It has killed humans, destroyed property and has proven itself to be both highly volatile, hostile and extremely dangerous. Author Mark Speed has created and woven together some great ideas that are unique while at the same time throwing in just enough Doctor Who easter eggs to remind readers of the true inspiration for his tales. This is not a copycat Doctor Who series but stands alone as a true blend of sci-fi adventure and comedy with both familiar and newly created friends and foes in the time traveling environs for Time Keeper (Time Lord) legends. Speed has also introduced Doctor HOW in a short story titled “Doctor HOW and the Rings of Uranus” and the troubling but thought-provoking “Doctor HOW and the Kennedy Assassination Conspiracy,” which is actually a part of the second HOW novel. 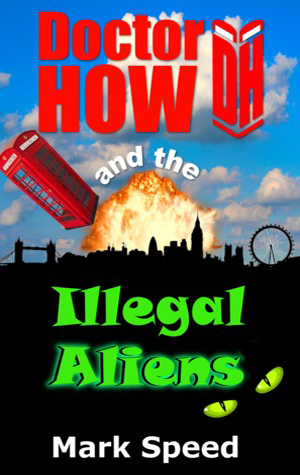 I can highly recommend “Doctor HOW and the Illegal Aliens” for those who like strange and somewhat comedic twists to familiar stories and characters. It is available from Amazon.com, other online bookstores, public libraries and wherever fine books are sold. Long ago there was a game called “Doctor What” back on the ZX Spectrum. It starred Doctor What, Doctor Why, Doctor When, and Doctor Where. Even though it’s highly unlikely. It would be so awesome if this film was related to that.